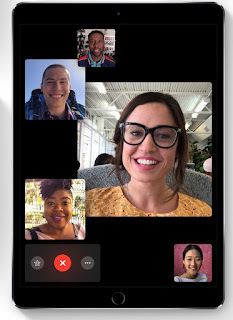 Apple has released iOS 12.1.4, which offers a fix for the Group FaceTime glitch discovered last week. You can download it on your iPhone or iPad by going to Settings --> General --> Software Update. The company has also released macOS Mojave 10.14.3 SuppleMental Update to fix the Group FaceTime glitch. To download it, open Systems Preferences, and click on the Software Update icon. macOS Mojave 10.14.3 Supplemental Update also provides “important security updates,” according to Apple. The exploit lets iPhones users listen to conversations of others who haven’t yet accepted a video call. Here’s how it works: the caller starts a FaceTime video call with a contact. While the call is "ringing," the caller adds themselves manually to the call by tapping Add Person then entering the phone number that the call is being made from. A Group FaceTime call is started with the caller, with the original recipient's audio streaming before the call is accepted.